The All American combo! we char-broil a 1/4 lb. 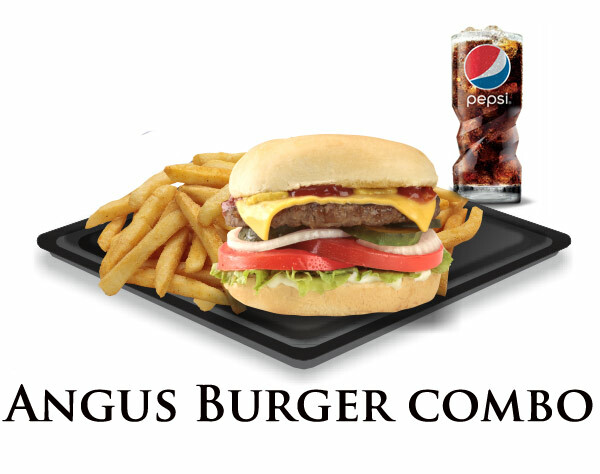 of our Black Angus Beef, top it with the works, and serve it on a fresh bun with fries and a fountain drink. Perfectly sized for lunch, but great anytime! 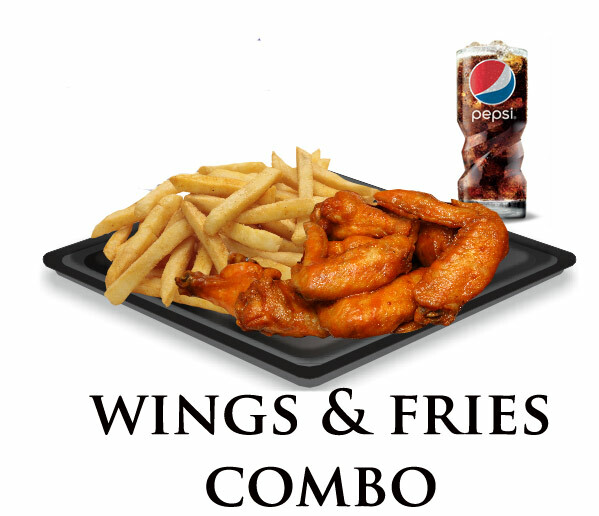 You get 5 of our juicy, fresh chicken wings tossed in your choice of sauce. The combo is only complete when we add our crispy fries and a fountain drink. 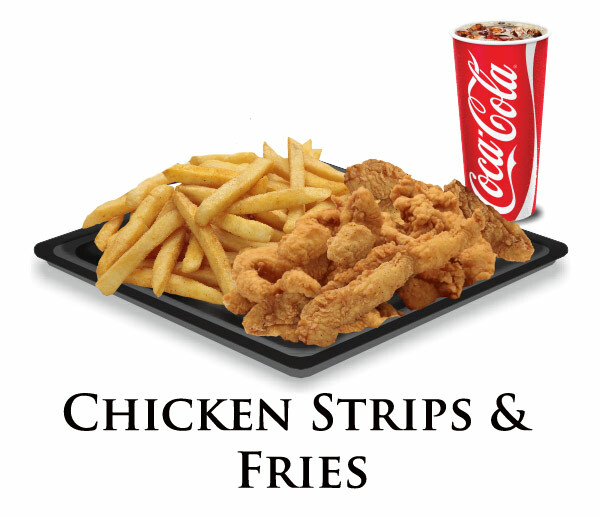 Get our golden fried chicken strips with your favorite dipping sauce. The combo comes with a side of our famous fries, and a 16 oz. drink. A feast of fish. You get a full 1/2 lb. 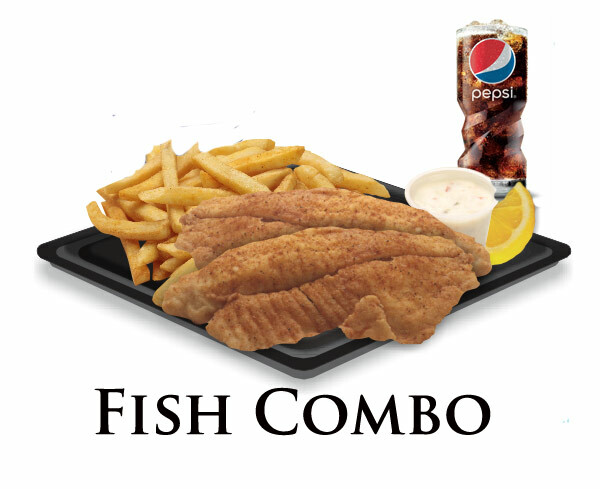 of fish fillets, fried (Tilapia can be grilled), a heaping portion of fries, and a fountain drink. Try your fish fried and its just like fish and chips! If you’ve never had chicken gizzards, this is the best way to start! Crisp fries and served with a heaping side of fries and a fountain drink. 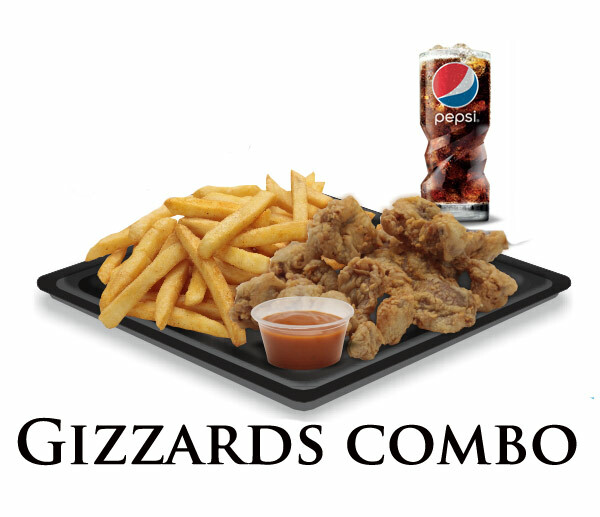 Give your gizzards a try. Enjoy more chicken with this combo! You get 1/2 lb. of our fried gizzards. 5 Wings tossed in your choice of wing sauce, and a fountain drink. 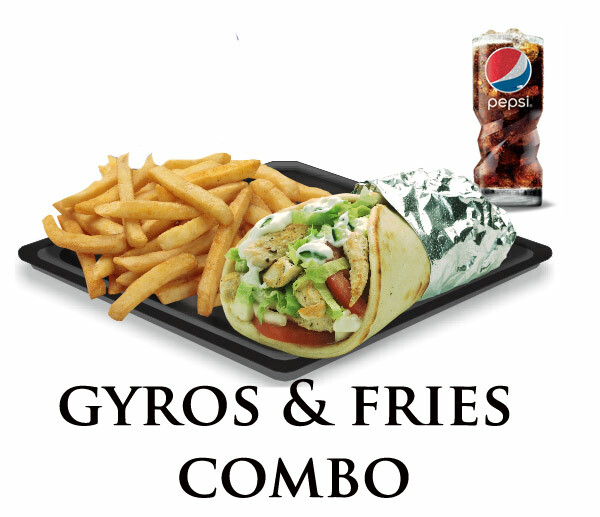 Our jumbo Gyro is paired with a crispy fries and a fountain drink. Can’t decide between our famous wings or homemade gyro? Get the best of both worlds! 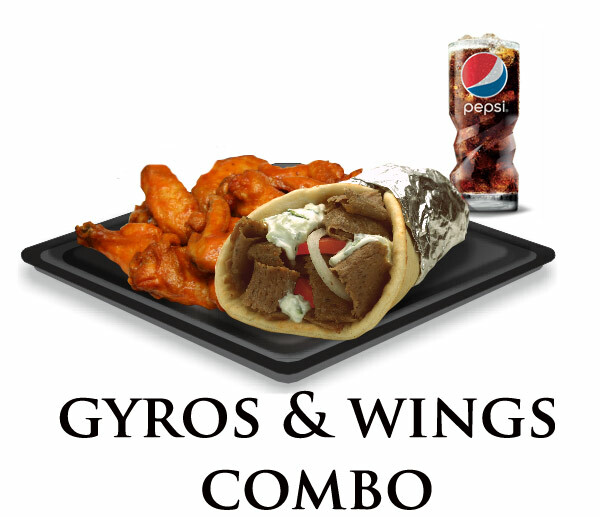 A fresh pita with all the classic gyro fillings, paired with 5 juicy wings in your choice of sauce. Comes with a fountain drink to wash it all down! 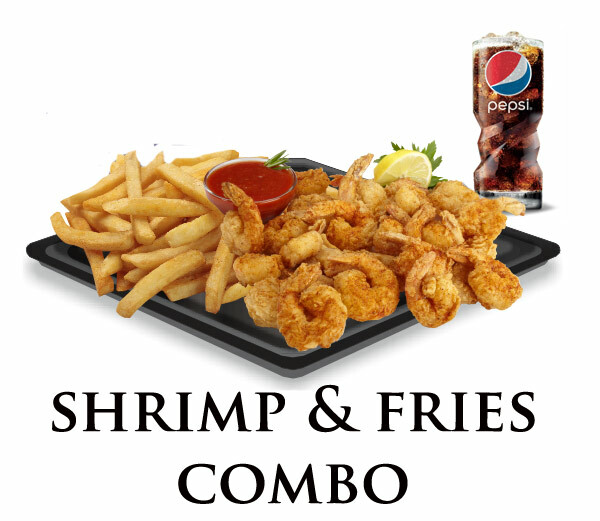 Our fresh plump shrimp are served either hand-battered, and fried, or lightly seasoned and grilled. Served alongside a pile of fries, this combo is completed with a fountain drink. 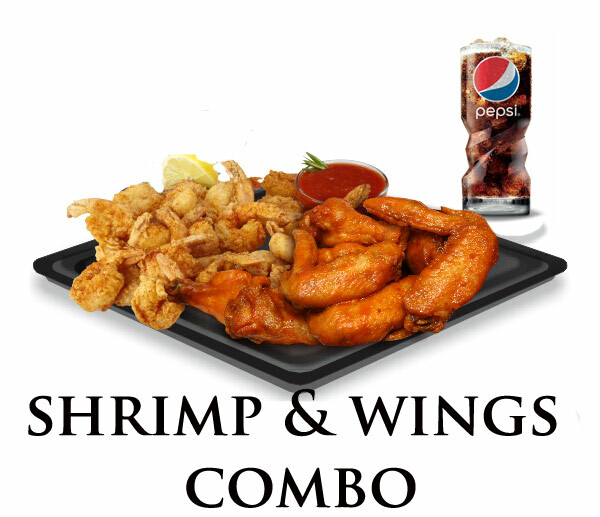 Our Version of Surf n’ Turf, we prepare your shrimp grilled, or fried and serve them alongside 5 of our famous wings with your choice of sauce, and fountain drink. When a sandwich isnt enough, there’s our Philly steak platter. 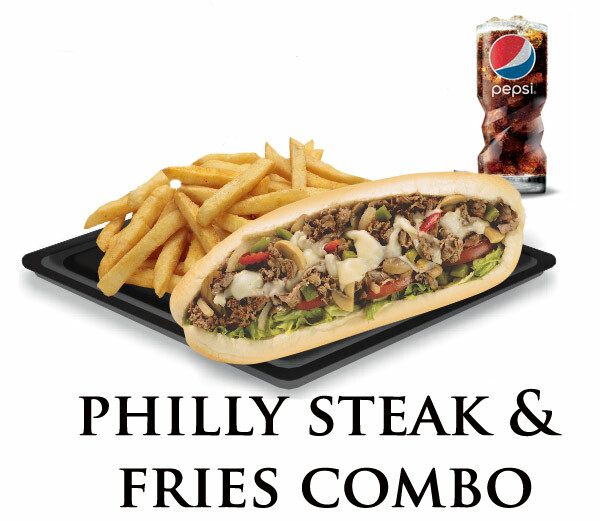 Our 8″ Philly steak sub, served with fries and a fountain drink. 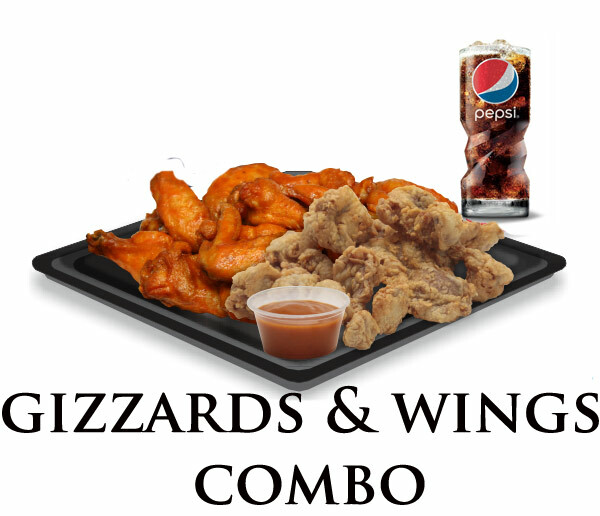 Nick’s Platter combos are a great way to satisfy even the biggest hunger. Generous amounts of all our favorites combined together to bring you the ultimate in hunger satisfaction. All combos come with a 16 oz. drink.